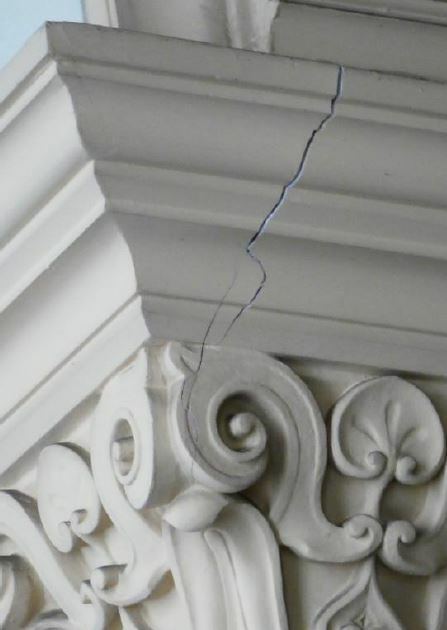 In the areas of the external facade of the merlons, serious cracks and material detachments were found. Some material was removed because of the potential danger it posed. Consolidation or substitution is needed, depending on the level of adherence. 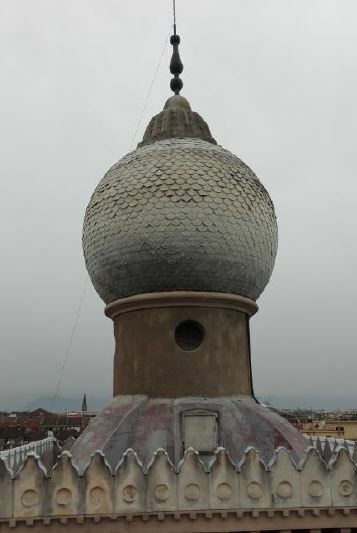 Some lead tiles on the domes are raised, distorted or partially detached. 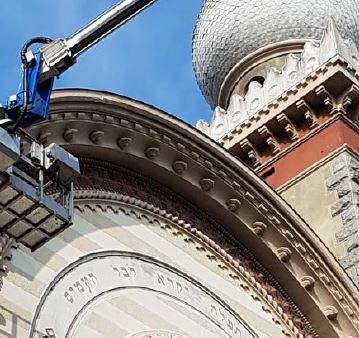 There has been serious water ingress due to rain, affecting the roof of the Great Synagogue. 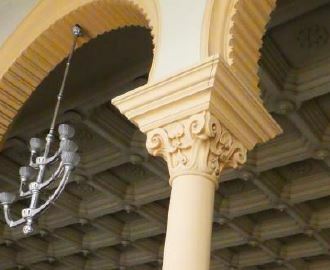 The evidence is clearly visible inside the Synagogue, having damaged the supporting structure that now requires cleaning, restoration and repainting. There are different areas with criticalities, that need maintenance or substitution of the rendering and a new waterproofing layer. In order to do this, a Roof Safety Wire and a man-sized access hatch must be installed, in order to permit safe access the work area and for future maintenance. 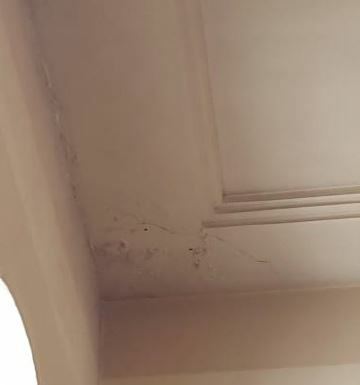 Some interior areas have paint or plaster rendering defoliation or total detachment due to water ingress. These need repair, then underlying surface preparation, followed by redecoration. Access to the four towers needs security gates to be installed. These will permit better access to the domes, currently quite difficult and unsafe via a man-hole in the ceiling above the stairwells. 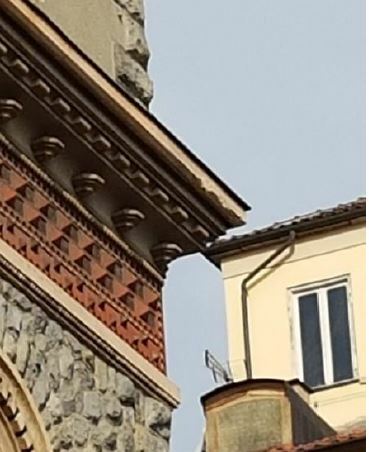 There are numerous lesions to the Capitals on the matroneum (women’s balcony). 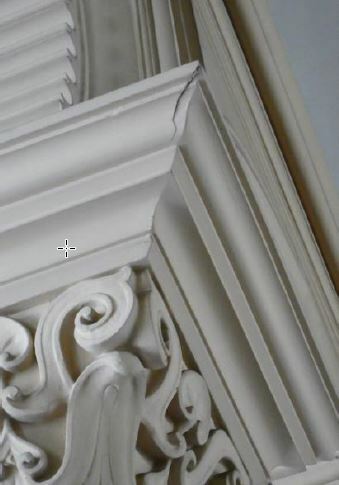 They were found not to be structural since they were cast in plaster as a decorative finish. 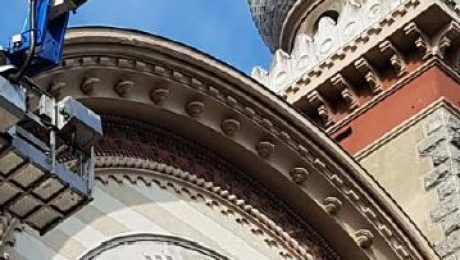 However, any material detachment, given the great height, could be extremely dangerous and so temporary emergency safety measures were undertaken last year by encapsulation the capitals in reinforced plastic sheeting. Now a repair and consolidation process is needed, which will be done using resins specifically produced for conservation work. 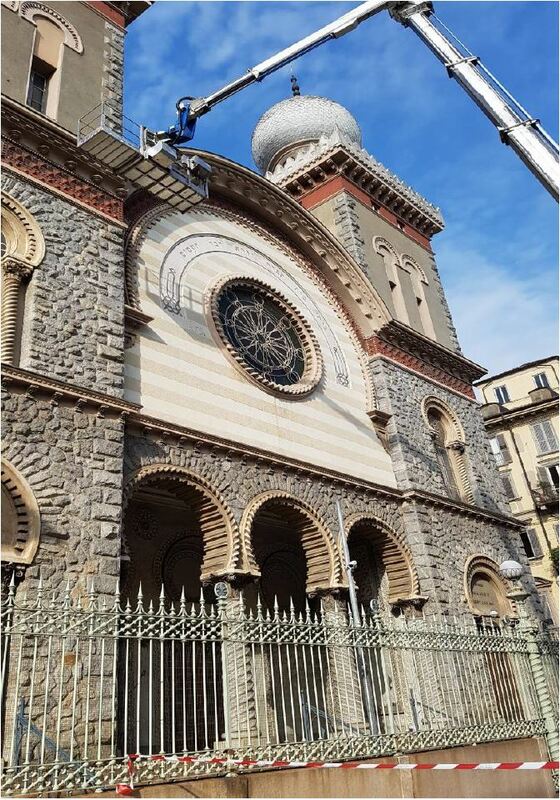 Access gained by using scaffolding and crane baskets will be needed to restore the decoration of the lower facade: below the first cornice (pillars, inscriptions, wooden finishings), and to render uniform the appearance of the repaired and original areas, to guarantee a durable result. A general inspection of all the perimeter is needed, to verify the solidity and security of the gates, anchorages and paintwork of the perimeter iron railings, of the perimeter wall, verification of the protection of windows of the ground floor, including inspection of the stained glass windows and their protection, and finally a verification of the electrical equipment, circuits and grounding in accord with current norms and legal requirements. 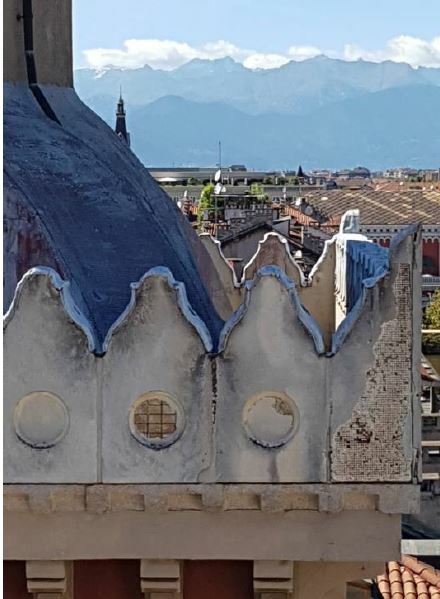 The proposed building work is being studied and tenders gathered, but the preliminary estimates indicate €60-70 000 just to cover the immediate tasks fundamental for safety, consolidation, conservation and the redecoration of deteriorated areas. 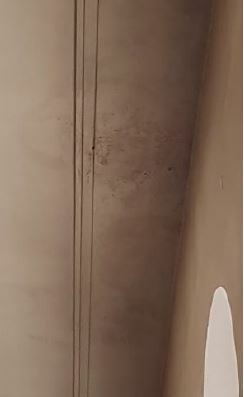 The building is due for a full internal redecoration and needs improvements for the acoustics, which were never satisfactory following the post WWII rebuilding. This raises the estimates to at least €100 000 in total. 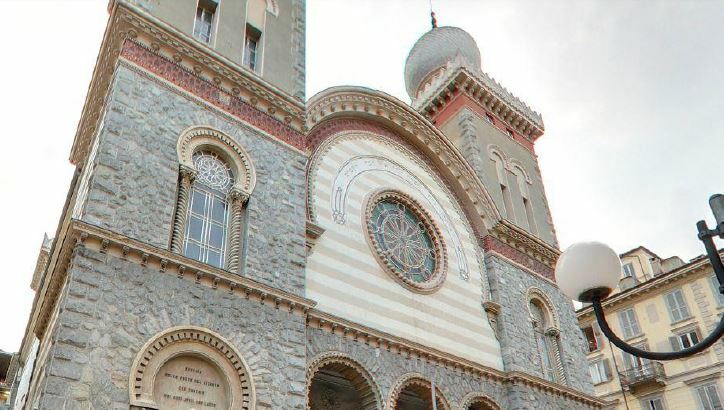 For donators to benefit from Tax deductions please visit and contribute through Torino Synagogue Fundraising Project.